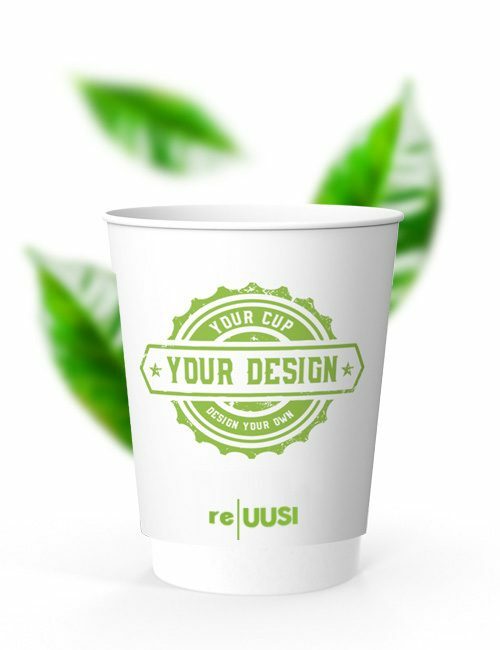 re|UUSI eco friendly paper cups from CupPrint give another choice of double-wall paper cup to customise. The innovative Mineral EarthCoating® radically reduces the amount of total plastic used by around 50%, so that paper matter easily splits away from unusable material in paper recycling processes. With an effective double-layer insulation structure, sleeves aren’t required so hands are protected from either icy or piping hot drinks. 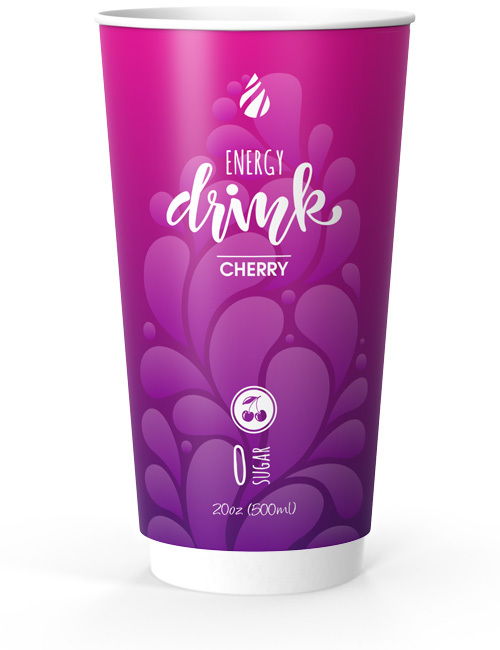 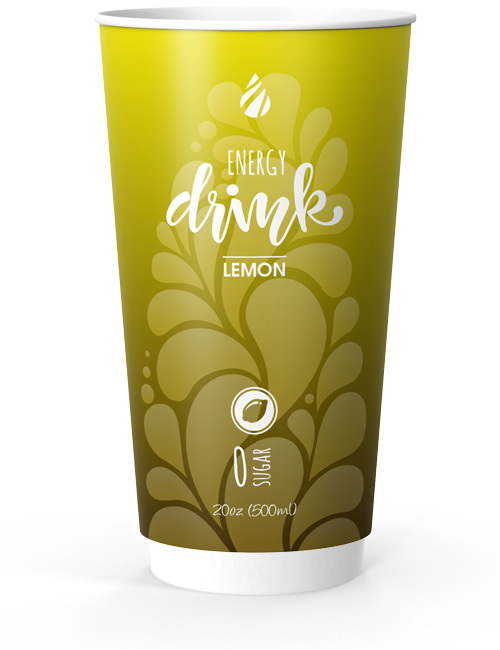 With all of our standard high resolution, customised printing standards that all our printed paper cups boast, re:Uusi cups can go in regular paper bins without compromising performance or a branding opportunity. 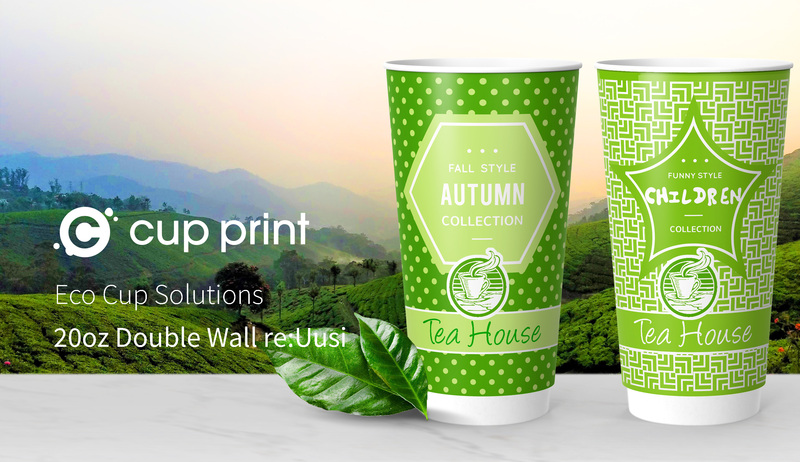 From 1,000 to 250,000 20 oz Double Wall re|UUSI eco friendly paper cups, we customize your order to fit your needs. Receive your perfectly printed cups within 14 days of processing. 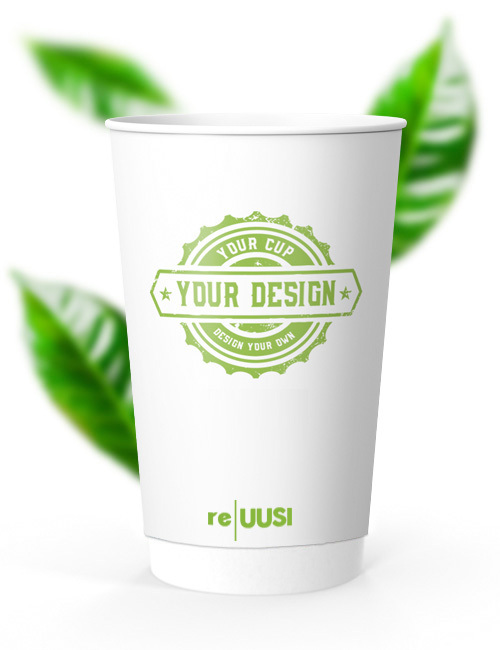 Customizing is made easy with CupPrint’s fast and quality service. 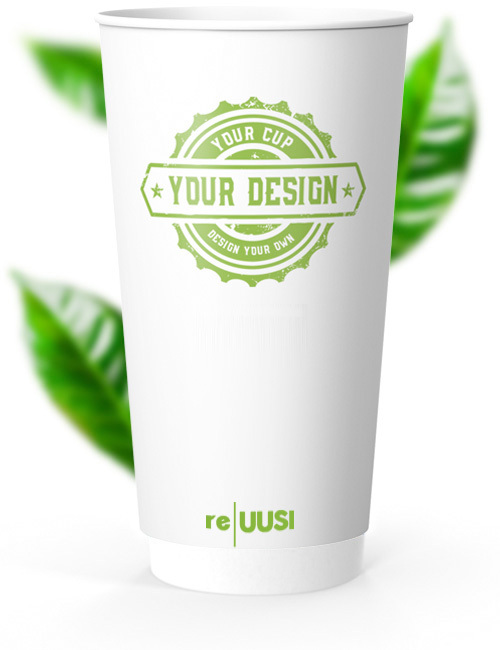 Advertise your business or next event with cups from CupPrint. That’s intelligent marketing. 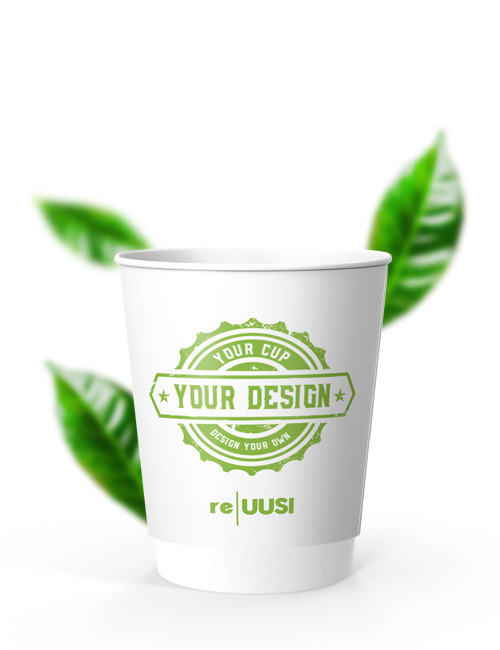 For your individual Double Wall re|UUSI 20 oz design we provide you here our rectangular template as PDF for download.